IBM has developed a microprocessor which it claims comes closer than ever to replicating the human brain. The system is capable of "rewiring" its connections as it encounters new information, similar to the way biological synapses work. Researchers believe that that by replicating that feature, the technology could start to learn. Cognitive computers may eventually be used for understanding human behaviour as well as environmental monitoring. Dharmendra Modha, IBM's project leader, explained that they were trying to recreate aspects of the mind such as emotion, perception, sensation and cognition by "reverse engineering the brain." 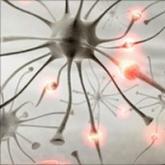 The SyNAPSE system uses two prototype "neurosynaptic computing chips". Both have 256 computational cores, which the scientists described as the electronic equivalent of neurons. One chip has 262,144 programmable synapses, while the other contains 65,536 learning synapses. In humans and animals, synaptic connections between brain cells physically connect themselves depending on our experience of the world. The process of learning is essentially the forming and strengthening of connections. A machine cannot solder and de-solder its electrical tracks. However, it can simulate such a system by "turning up the volume" on important input signals, and paying less attention to others. IBM has not released exact details of how its SyNAPSE processor works, but Dr Richard Cooper, a reader in cognitive science at Birkbeck, University of London said that it likely replicated physical connections using a "virtual machine". Instead of stronger and weaker links, such a system would simply remember how much "attention" to pay to each signal and alter that depending on new experiences. "Part of the trick is the learning algorithm - how should you turn those volumes up and down," said Dr Cooper. "There's a a whole bunch of tasks that can be done just with a relatively simple system like that such as associative memory. When we see a cat we might think of a mouse." Some future-gazers in the cognitive computing world have speculated that the technology will reach a tipping point where machine consciousness is possible. However, Dr Mark Bishop, professor of cognitive computing at Goldsmiths, was more cautious. "[I] understand cognition to be something over and above a process simulated by the execution of mere computations, [and] see such claims as verging on the magical," he said. IBM's work on the SyNAPSE project continues and the company, along with its academic partners, has just been awarded $21m (£12.7m) by the US Defense Advanced Research Projects Agency (DARPA).